Youll love this exquisite ranch duplex and its close proximity to Berkeley's Tennyson St and Downtown Denver! Upon entry youre greeted with 9 ceilings, gleaming hardwood floors and a bright office with French doors. 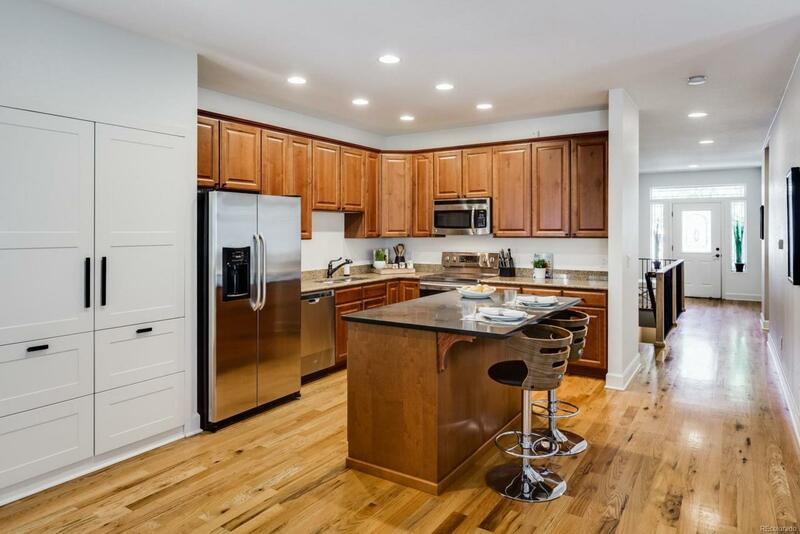 Entertain in grand style in the spacious living/dining room open to the well-appointed kitchen with premium finishes including stunning cabinets, kitchen island, granite counters, new stainless steel appliances and generous pantry. Spill out onto the covered patio offering privacy and relaxation. The master bedroom provides ample space w/an en-suite 5-piece bath, walk-in closet and large linen closet for extra storage. The expansive unfinished basement with 9 ceilings is ready for future expansion and your personal touch! Fresh paint throughout, New Roof, solar and oversized attached 2 car garage. Driveway is heated, no more shoveling!